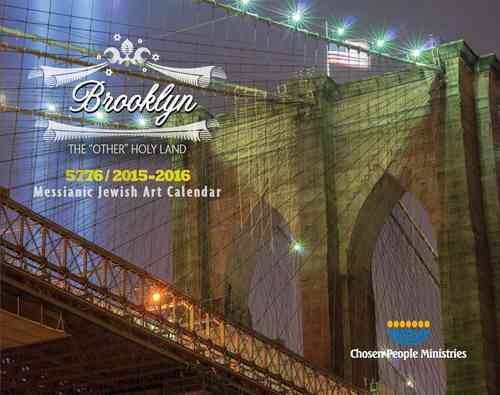 This year’s theme is ‘Brooklyn – The “Other” Holy Land’ and depicts various aspects of Jewish life in the borough of Brooklyn, New York… the second largest population of Jewish people in the world today. Enjoy the vibrant images that reflect the many different aspects of Jewish culture so prevalent in this “other” Holy Land. Our calendars make great gifts, so don’t forget to order extras! Plenty of time to order before the Jewish New Year starts. Price is £8+ p&p per calendar. Here is the link to our shop, why wait? Order now! Click here to order. https://www.chosenpeople.org.uk/wp-content/uploads/2017/12/CPM-UK-Logo-300x50.png 0 0 N Cooke https://www.chosenpeople.org.uk/wp-content/uploads/2017/12/CPM-UK-Logo-300x50.png N Cooke2015-08-13 14:32:182017-06-16 12:52:07Our new Messianic Calendars have arrived!